You can now sleep easily. Taylor Swift and Katy Perry have cleared up their differences and are friends again. Phew! Not exactly world changing news but the fact that Katy Perry wanted to build a bridge, after years of feuding with Taylor Swift, and sent (literally), an olive branch wreath and the gesture was gratefully received feels good. A tiny bit of the world has healed and resentment has withered on its bitter vine. Hooray! In my books the first person to apologise and offer a hand of friendship even if in pain and deeply aggrieved, is the bigger person. Blessed, indeed, are the peace makers and I would say it takes courage and a tuning in to a larger philosophical picture. Pride means we take the position of superiority, moral, spiritual or otherwise, which prevents peace and reconciliation and confirms one’s sense of righteousness. Are any of us blame free? Deep down in our deepest soul is the creeping unease that although it feels good to take the position of the wounded party there is the unease of unfinished business within us that needs addressing. It’s one thing offering an olive branch and the other person eagerly picking it up as a whip to beat you with and another having the courageous intention to hold it in place regardless. It may be turned against you and, it’s small salve, at least you will know you have left the door open in the spirit of reconciliation. Making someone else the thoughtless “other” is a very convenient way of making sense of our resentment but it only goes half way to understanding what is really going on for us. What role have we paid in the upset? What could we have done to prevent it from deteriorating to breaking point? What lesson do we need to learn about ourselves in this situation which might make us see it’s not all about us being the victim? Family feuds can go on for years causing estrangement and hurt; sometimes the actual reason for the fracture forgotten and the point missed entirely. 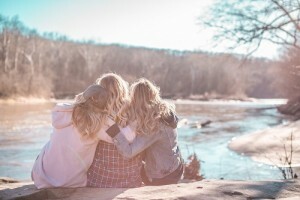 Siblings fail to connect, parents lose touch with children or beloved grandchildren, cousins never meet, as grudges fuel disharmony and pain. A big price to pay for being right or living on the high ground. Pride says “I am right”, Need says “you didn’t give me what I want”, Fear and Shame say “I am not good enough/I am bad/You are bad” and Hurt, just like happiness, is our responsibility too. What story are you telling yourself? Are you sure it’s entirely true? Where might you be culpable? Do you need stronger boundaries? What would you have done differently to prevent the situation happening if you had that time again? There is an opportunity in every rift to learn and grow and see our part and responsibility in the situation. Love and understanding allows us to see other people are struggling too to make sense of the world and may not, just like all of us, act from the our best selves or play our best hand. When you understand that we are complex and fallible creatures and have a sense of humanity and compassion for humankind you see we are all vulnerable, that love is a risk always worth taking. They may never see things from your point of view. Forgive them anyway. Not least for your own peace of mind. Let go with love and without expectations. Things can be repaired and even made stronger if both parties wish that or one is big enough to work at it. Let people you care about but no longer see know that you have left the door open and live in hope that one day you will meet on the bridge of compassion and reparation and may hold hands, lock eyes and smile once again. In the meantime wish them well and thank them for the life lesson.